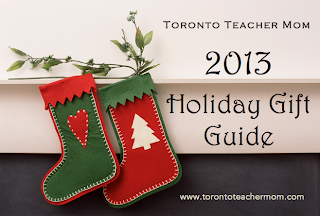 Looking for a gift idea under $100? 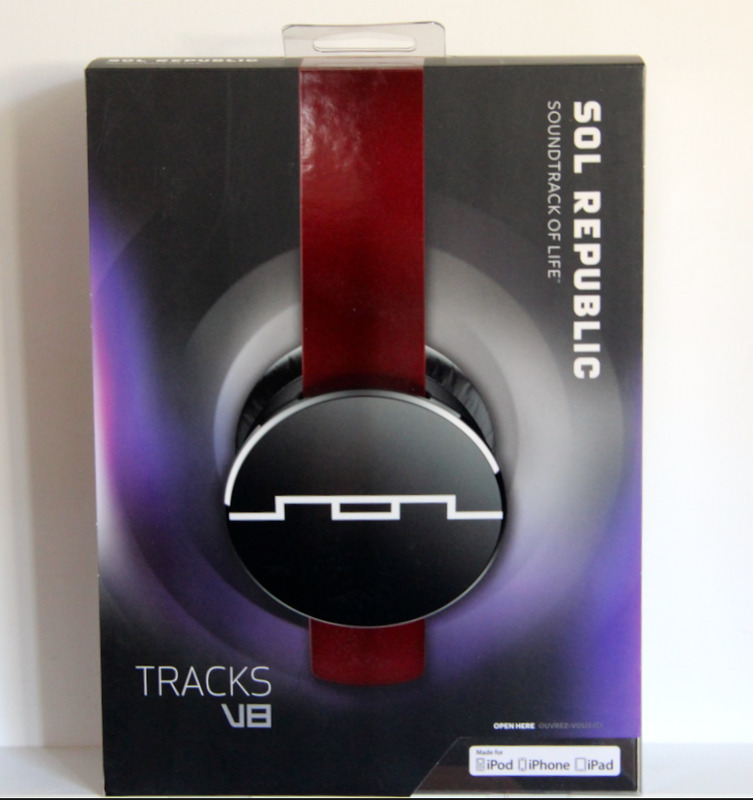 Give the music lover on your list the joy of amazing sound with SOL REPUBLIC Tracks On-Ear Headphones. Featuring bass-rich V8 sound engines, these headphones are the first interchangeable headphones to deliver incredible sound, style and technology at only $99. They include an inline mic + music control which is compatible with most Apple, Android and Windows devices. 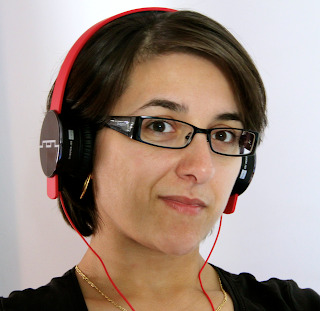 But the neatest part is that, through their Remix program, you can purchase the headbands, sound engines and cables separately to build headphones that best suit your style. Available in black, red or white, the FlexTech™ Tracks headband is virtually indestructible. Assembly is straightforward and the speakers with SonicSoft™ speaker pads are easily adjustable to ensure the right fit. Sound enhancements include enhanced base, sound isolation and stereo sound. Plus, they are comfortable to wear and are snug enough that you do not need to periodically reposition them. These are my kind of headphones. 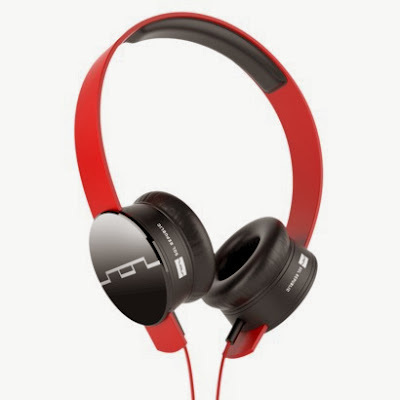 SOL REPUBLIC Tracks on-ear headphones are available at Target.com for $99 and also qualify for free shipping. For high-definition sound, check out Tracks HD, which come in a larger variety of colours and cost $129. If you're looking for a wireless option, you can pre-order Tracks Air which is scheduled for shipping the week of November 11. 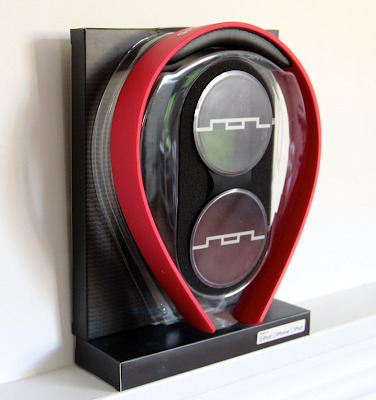 They are priced at $199 and would pair quite nicely with the DECK by SOL REPUBLIC x Motorola wireless speaker. 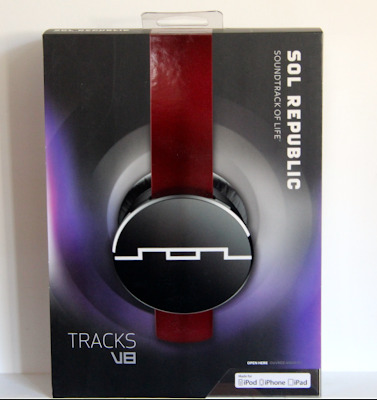 As part of this year's Holiday Gift Guide, SOL REPUBLIC has offered to give away a set of Tracks headphones to one of my readers. This giveaway is open to residents of both Canada and the US but please note that customs fees may be incurred if shipped to Canada. To be eligible to win, use the form below. I really like the idea of the "SonicSoft" speaker pads and their "sound isolation". Thanks for this chance! I like that they are easily adjustable because it would be nice to be able to go from my big old head to my grandkids head! I love that the Speaker pads are adjustable. My boys would Love these. They're adjustable and they seem like they'd be comfortable. My son thinks they look like they would be very comfortable on his ears, and he loves the padding on the bridge. I like that the headband is virtually indestructible, which is great when I stuff them into my backpack! virtually indestructible is my favourite feature! I love the wireless option! My son has been asking for a good pair for christmas. I like that they have an inline microphone! I'm torn between high definition sound and the mic. I like the headband is virtually indestructible! I love that they are indestructible! I just showed them to my son,and he said they are the exact ones he have been telling me he wanted!!.lol. :) Awesome,fingers crossed! They look pretty spiffy. My kids would love these. I love that they can be wireless. I love the look of them! I like that the headband is virtually indestructible. My favorite feature is that they would be comfortable since they are adjustable. I also like the slim design of them. I love that it has sound enhancement and sound isolation! So important for making the experience so much better! I like that is compatible with most Apple, Android and Windows devices. I love that you can buy the components separately so you can make them just the way you want them. I love how durable they are! Oh how I love the two words "virtually indestructible"! I like that they appear so comfortable and that they are almost impossible to break! I love that you say they are indestructible. Headphones can break so easily! My niece has a few piercings on her ears so the SonicSoft™ speaker pads would be great for her! I like that they have adjustable speaker pads and are snug. I hate having to reposition headphones or have them fall off whenever I move. I love that they are adjustable. They look fantastic and I love the way the adjust, no more catching your hair in the top extender! I like that they are comfortable to wear! headband is virtually indestructible, that is awesome! I totally dig how adjustable they are...waay kewl and I bet comfy too~!!! I like the sound enhancements available. I like that these are virtually indestructible. The fact that the headband is virtually indestructible! For me it is that they are wireless. I keep yanking my cord out of my ears when working out. I like the inline microphone! I like that they are virtually indestructible! We are in need of a quality pair of headphones but I am so behind on headphone technology right now. These sound pretty fancy to me lol. I like that they have so many features and that you can customize. I like that you can pick your own bands, wires and speakers to get your own mini sound systems going! They are very adjustable and they seem like they'd be comfortable. My favorite part is that they are customizable, and you can basically be yourself.. have your own style, etc. I like how the headband is virtually indestructible and that the SonicSoft™ speaker pads are adjustable. The speaker pads look very comfortable! I love the sound isolation! Would definitely come in handy when I'm trying to ignore the obnoxious video game noises and yells coming from my boyfriend. i love that they are virtually indestructible ... my son has broken 3 pairs! I like the look, the color, the ability to dissemble it, and most of all I like the vision in my head of them on my ears! I like the price. So reasonable for such good quality headphones!! I really like the headband style of them that makes them nearly indestructible! I find that most headphones break too easily. That they are virtually indestructible! I like that they are virtually indestructible (my 5 year old broke my last set of headphones) and adjustable because we share them! I like the soft speaker cushions. I really like that they're adjustable. The inline mic is awesome! I like how they don't look like every other pair of headphones out there. I like that they are adjustable. If win I will be gifting them. I like that the headband is indestructable. and love how they look. These would be a gift to one of my kids if I won. These look really comfy and stylish, and I think they would significantly up my own "cool" factor with my students (and allow me to drown out my own kids occasionally at home). What a great giveaway. How terrible am I for not even thinking of gifting these to my teenaged nephew? I like that it has Volume Controls and I don't always have to go to the device I am using. Especially, if you want a quick "mute". I may have to get the Starry Night humidifier for my son. He wakes up a little dry in the mornings, and the illuminations might lull him to sleep. I love that they can be wireless! I love how they are indestructable. They look really comfortable for travel - lots of padding. Love that you can buy parts separately to build your own style! I like that they're virtually indestructible. ha ha I promise I am not copying the above comment but the indestructible part got me.... my teenage son seems to break everything!! ugh. I love the sound isolation! I could really use that when travelling. I like the customizable FlexTech™ headband!! It says virtually indestructible! Hope so! SonicSoft™ speaker pads, definitely comfort is important! The V8 sound engines are my favourite feature! They're adjustable and very cool looking!! The sound isolation for sure...I could somewhat achieve some peace while listening to music in my house! I love that they are indestructible and also the sound isolation. I love the versatility of it and they can last! !